The Party Poker-led World Poker Tour (WPT) Main Event in Prague, Czech Republic concluded this past weekend and without missing a beat the PokerStars-led European Poker Tour (EPT) has already reached Day 3 of their Prague Main Event. A huge field of players entered the tournament over the two starting days on Sunday and Monday, with the final attendance mark reaching a record-setting 864 players. With a prize-pool of just under €4.2 million, the winner of the EPT Prague Main Event will be walking away with an early Christmas gift of €835,000; plenty of cash to pick-up a few extra stocking stuffers for their friends and family –or perhaps their favorite poker writer! The 864 entrants is a massive increase over last year’s tally of 772 players (the Season 8 EPT Prague Main Event was won by German poker pro Martin Finger) and 2010’s attendance number of 563 entrants (the Season 7 EPT Prague Main Event was won by the UK’s Roberto Romanello). Both the WPT and EPT events in Prague this month have proven that the Czech Republic is turning into of Europe’s hottest poker destinations, as both events easily trumped their previous best attendance numbers. Other big names still in the hunt for the Season 9 EPT Prague title include Vincent van der Fluit, Jeff Sarwer, Shannon Schorr, Juan Manuel Pastor, Andrew Teng, John Eames, Roberto Romanello, Bertrand Grospellier, Roger Hairabedian, Johnny Lodden, Mike Watson, and Ari Engel. Following Prague the European Poker Tour will be on a short hiatus until after the new year, when one of the biggest tournaments of the year will take place, the 2013 PokerStars PCA in the Bahamas. 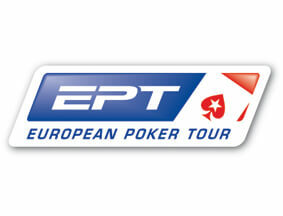 The 2013 PCA will take place from January 5-14, 2013, with the Main Event running from the January 7-13.